Carl R. Thornfeldt, MD « Cosmetic Surgery Forum – Practical. Honest. Insightful. Dr. Carl R. Thornfeldt is the CEO and Founder of Episciences, Inc. He is a practicing dermatologist with over 30 years of skin research experience and 22 U.S. patents granted. Dr. Thornfeldt has published over 40 scientific articles, including chapters in nine textbooks focused on cosmeceuticals, delivery systems, natural products and unique dermatology therapy options. He has also spent twenty-five years focusing on researching abnormalities of the skin barrier, delivery systems, and herbs. Dr. Thornfeldt received his M.D. from the Oregon Health Sciences University. Soon after, he spent three years in family practice for the U.S. Navy, and completed his dermatology residency at University Hospital, San Diego, California. 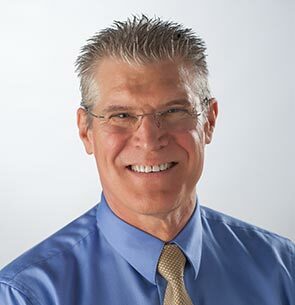 While running his private practice and conducting research, Dr. Thornfeldt has co-founded and held the position of CEO at several privately and publicly held companies. Several of his therapeutic technologies are currently on the market through major pharmaceutical companies. Dr. Thornfeldt presents at international, national and regional scientific meetings including the Chinese Academy of Dermatology, the American Academy of Dermatology, THE Aesthetic Show, the American Society for Laser Medicine and Surgery, the National Society of Cosmetic Physicians, the American Society of Dermatologic Surgery and the Facial Aesthetics Conference and Expo in London. In 2010 his first full-length textbook – “The New Ideal in Skin Health” – was released. In 2003 and 2005, Dr. Thornfeldt was selected as one of the top 50 doctors in the U.S. by The Sinatra Health Report. He was the only dermatologist on the list. In 2014, he was presented with the Innovators in Dermatology Award at the Cosmetic Surgery Forum.